Use the Apple Store App on your iPhone to pay for these products on your own. We’re hearing that there were some last minute delays but Apple Stores will soon be rolling out a lot more signs like the one above. Customers will soon be able to pay for accessories at the Apple Store with their iOS device via camera and Apple Store App. 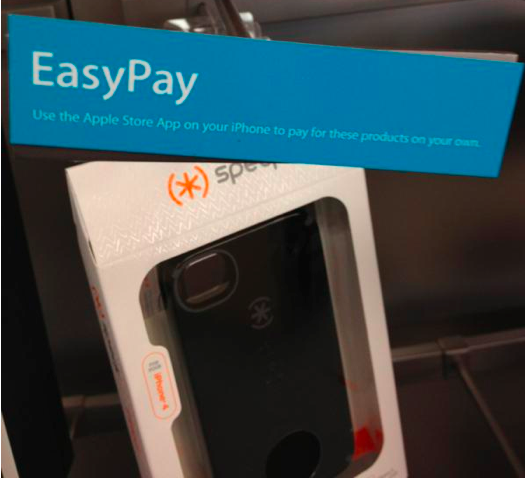 We’ll give you more details about how “Easy Pay” works once Apple issues an official statement. Stay tuned!